Our concrete removal service extends throughout Sacramento California. We will remove any type of concrete or masonry needed. Our service includes the cost of disposal. Our Broom Finish Concrete Service extends throughout Sacramento California. Our concrete finishers provide the highest quality broom finish & the best service available. Our Stamped Concrete Service extends throughout Sacramento California. Our concrete finishers provide the highest quality stamped finish & the best service available. New Concrete in Sacramento California. We repair concrete & install new concrete. We are the only full service concrete Handyman in all of Sacramento. 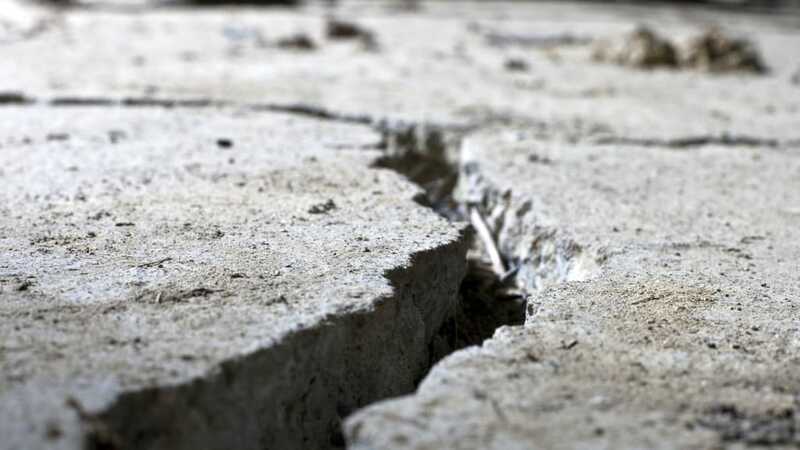 Our clients call us year after year for new or repair of concrete. 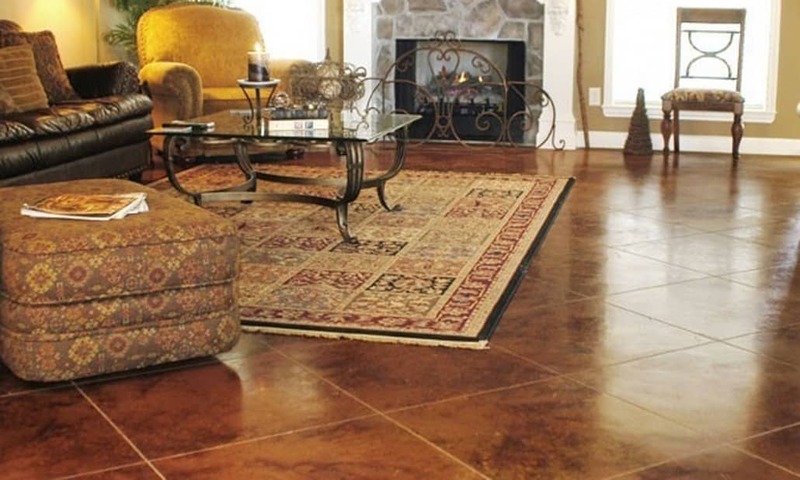 Are you the resident of Sacramento and looking for quality tiles for your flooring needs? If yes, then get in touch with us as we are right here to assist you in all your tiling needs. We are known as Monsters Concrete Sacramento. 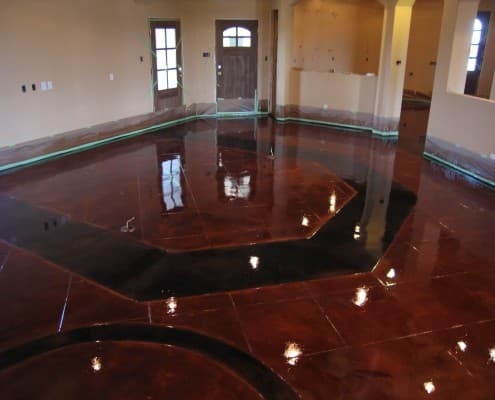 In recent time popularity of Stained Concrete Sacramento CA, is pretty high in the industry and more and more resident of this place are showing interest to go for Best Concrete staining Sacramento. What are the advantages of Sacramento CA Concrete staining floor? Durability: Stained Concrete Sacramento CA flooring is one of the most durable materials which you can have for flooring when compared with any other format which you already tried. The durability of these tiles when poured and dried becomes best and makes it an ideal choice for industrial places and even garages. You can also find Sacramento CA Concrete staining ideal even for basements, internal flooring and cellars. 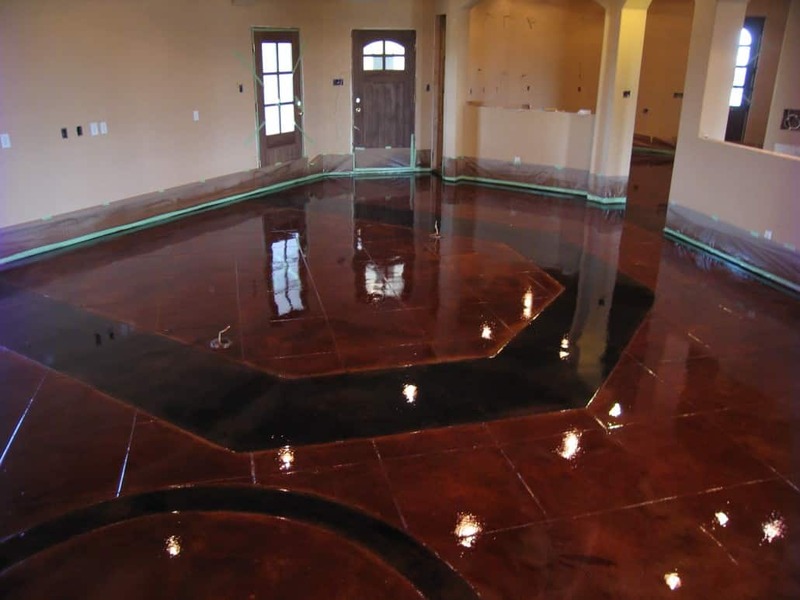 Difficult to get damaged: If you avail the services from a reputed Sacramento Stained Concrete company then you can be rest assured that the product quality you will get will be difficult for you to damage. If you are not using a jackhammer to break the floor there is hardly anything which can cause damage to such floors. Inexpensive: We are sure that when you plan to go with such type of floor the first question that will come to your mind is about Sacramento Concrete Stain costs. The good news is that the Concrete Stain costs in Sacramento CA, is very reasonable. 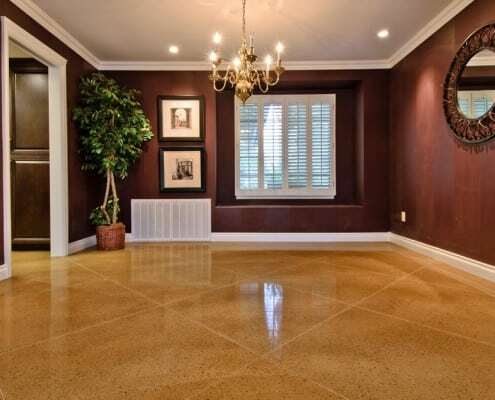 As because it is solid in nature and not at all movable so a well known Sacramento Stained Concrete company offers affordable floor replacement services to the clients looking for the same in case of damage. Otherwise if you are happy with its look you can continue using the same for many years without any complain. Home Insulin: Sacramento CA Concrete staining tiles can help to modify the insulate of home, and support it in keeping warm as well as cool depending on seasonal change. Basements which get floored using staining Concrete Handymans Sacramento stay cooler in summer months. It will conserve heat from sun to keep the floor warm during winter. It’s an Environmentally Friendly floor: Stained Concrete Sacramento CA flooring materials are free from all types of volatile organic compounds, making it an environment friendly choice. It is a safer choice for a family at time of installation. Your floor will remain free from dust mites if in case you are not opting to cover it up with a carpet. 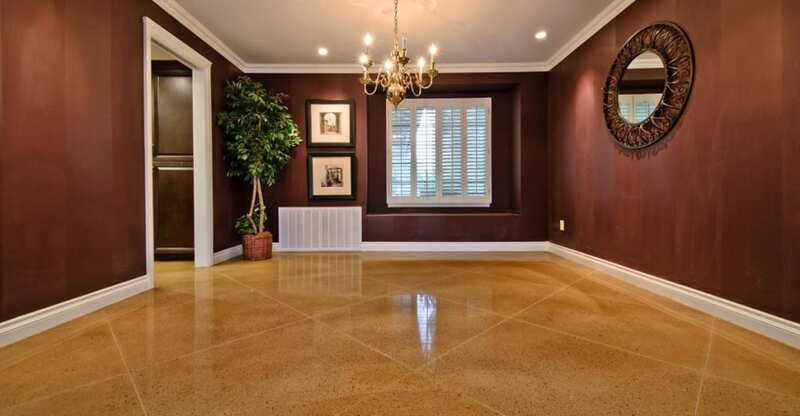 Our Stained Concrete company Sacramento CA, experts will guide you in making the best utilization of the floor for years. 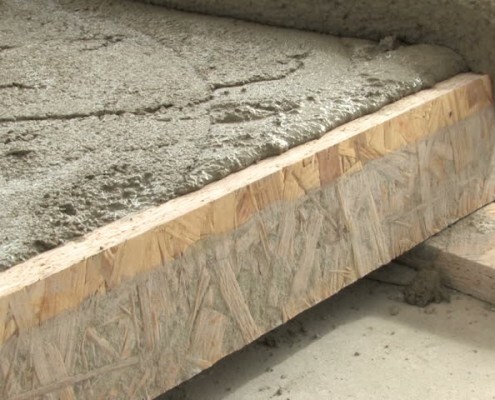 Supports in tree saving: For environment loving people, the good news is that Stained Concrete Sacramento CA does not encourage trees cutting to make any of the components used in the making of the tiles. Sacramento Staining Concrete Handymans can recycle it again for future use. Why to bank on the services of Staining Concrete Handyman Sacramento, from Monsters Concrete Sacramento? We are a customer centric Stained Concrete company Sacramento CA and give importance to client requirements above all. We are using finest quality Stained Concrete Sacramento CA for installing the floor at the clients place. If there is any damage caused at the time of Stained Concrete Sacramento CA installation we ensure to get that fixed against no extra cost. We are charging affordable Concrete Stain costs in Sacramento CA. Our Sacramento Staining Concrete Handymans work closely with the clients to understand the exact requirements. Our Staining Concrete Handyman Sacramento are having the latest equipments and machineries for conducting the installation work. If you are looking for the assistance of our Sacramento Staining Concrete Handymans then feel free to give a call to us as speak to our support team. Being a reputed Sacramento Stained Concrete company we ensure that each of the customers contacting us served satisfactorily. To speak to us you can call at: (916) 237-0180. For queries, you can also shoot a mail to inquire@monstersconcrete.com and our Staining Concrete Handymans Sacramento will revert to you back soon. Are you looking for a company that can provide you with Concrete removal Sacramento CA services? Then you are at the right place. We, Monsters Concrete, are the best company that provides the Best Concrete Removal Services Sacramento. We can remove any type of concrete be it, driveway, garages, walkways etc. We offer only the best Sacramento Concrete Removal Services to our clients. We have gained the trust of our clients by always providing them the best services and that too at very affordable concrete Removal Costs in Sacramento. We, Monsters Concrete with our dedicated services have proved to all our clients that they did not do any mistake by choosing us as their Concrete Removal Company Sacramento. We, Monsters Concrete have proved ourselves to be the best Concrete Removal Handyman Sacramento CA over the years, by providing amazing services to our clients. We offer our services as the most reliable Sacramento CA Concrete removal company to our clients and make sure that their job is done efficiently. We offer our services to all who want our help, at affordable Sacramento Concrete Removal Costs. We have a team of dedicated and professional staff who have a lot of experience as Sacramento Concrete Removal Handymans. They also help the clients under the whole process of removal of the concrete and also give points on why we are the best choice for Sacramento Concrete Removal Company. We provide our services to all clients who come to us, irrespective of the size and intensity of their job. We are the best Sacramento Concrete Removal Handyman because our work has no loopholes in it, it is perfect. Although there are many companies in the market which just talk big about providing the best Sacramento Concrete Removal Services, most of them do not even provide satisfactory services and end up asking for a lot of Concrete Removal Costs in Sacramento. We have a huge client base as a result of the amazing services which our dedicated team of staff provides. We also have very strong relationships with all our Sacramento Concrete Removal Company clients and they all refer us to their family and friends. Why are we the Best Concrete Removal Contactor, Sacramento CA? We, Monsters Concrete are a very popular and sought-after name in Sacramento CA Concrete removal industry. We, with our dedicated staff members, always promise to provide the best quality services to our clients. Customer satisfaction is very important to us, the best Sacramento Concrete Removal Handyman. 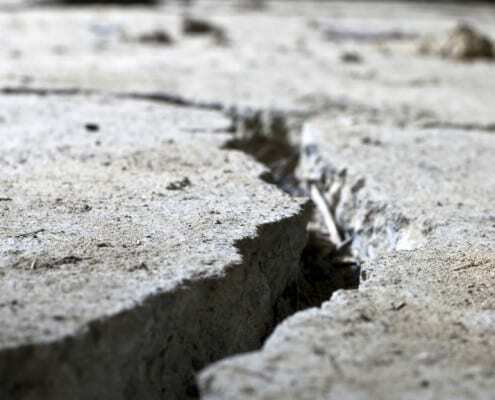 We can break any type of concrete easily, as our staff members are all very experienced in this industry and provide the Best Concrete Removal Services. We thrive to provide our clients with the utmost client satisfaction and that is why we are the best Concrete Removal Handymans Sacramento. We also use the best equipment’s and latest machinery and our Concrete removal Sacramento CA staff members also have enough knowledge, to provide clients with the best service. Unlike other Sacramento Concrete Removal Handymans, we always deliver the best results. Where other companies do less than satisfactory work and charge a huge Sacramento Concrete Removal Costs, we charge very affordable amount for our services. If you hire us as your Concrete Removal Company Sacramento, you will not have to worry about anything else. We will look into everything and at the end provide you with top class Sacramento Concrete Removal Services. Our highly skilled and professional staff members, combined with our latest machinery help provide only the Best Concrete Removal Services Sacramento. After removing the concrete, we, the most trustworthy Concrete Removal Company Sacramento also clean up the mess that is created during the process, so that clients do not have to worry about the disposal of the waste. Also, as we are the best Sacramento Concrete Removal Handymans, we do not even charge any extra money for waste disposal. We, Monsters Concrete are the best Concrete Removal Handyman Sacramento CA and our services are always available to anyone who needs it. Just get in contact with us by calling us and we will solve your problem at the earliest. Are you looking for the best Stamped Concrete Sacramento CA? If yes, then this is the ideal place for you. When we renovate our house, we surely look towards giving a new finishing to the patio or driveway. The flooring of your home or commercial building forms an important part of the beauty of the place. There are many options available to the customers from which you can choose. A nice Professional Stamped Concrete Services Sacramento gives your home, patio or walkway a new definition. A homeowner may look forward to a cost-effective Sacramento Stamped Concrete services which enhance the look of the house and at the same time doesn’t hit too hard in the pocket. 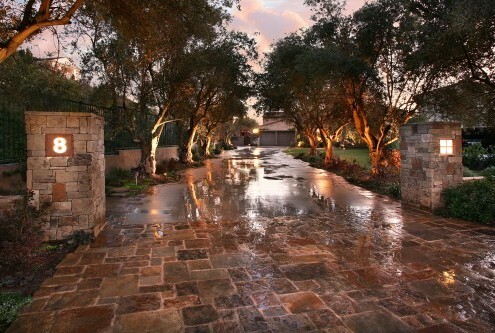 For this, our company offers stamped concrete services at a very economic Sacramento Stamped Concrete costs. 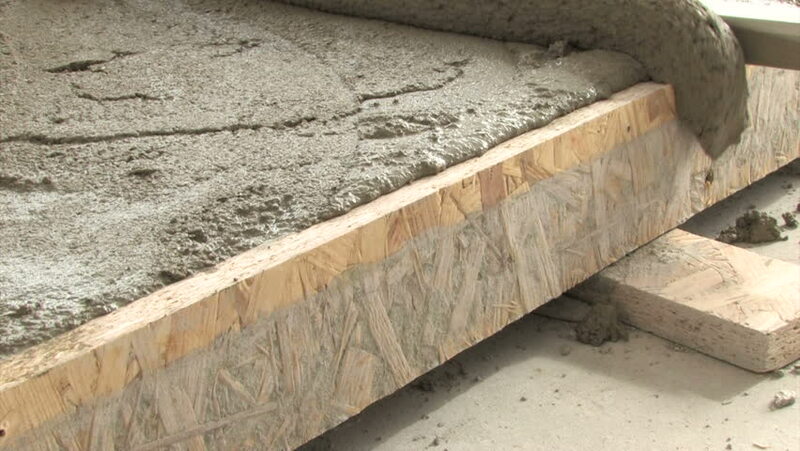 A concrete finishing of the floor is very necessary in order to ensure the longevity of the installation. Environmental factors can show its effect on the flooring of the walkway, so it’s important to reseal it. If you think that your floor needs a new design and style, then you should completely go for Sacramento Stamped Concrete services. To get this job done, it is very important that you hire a Stamped Concrete Handymans Sacramento for the best results. 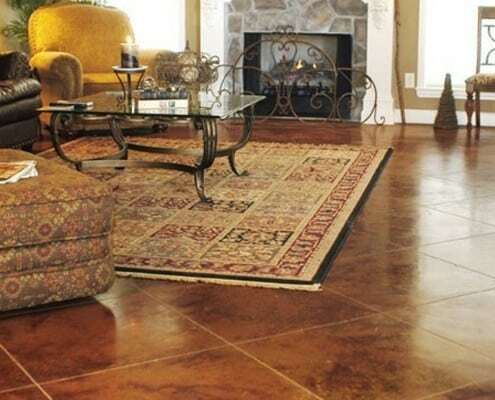 Among all the flooring styles, stained and stamped concrete is the most common choice of customers. Stamped concrete is a very elegant flooring style which gives your floor a stylish and classic look. It is basically a concrete floor which has been stamped with a design or pattern. As best Stamped Concrete Handyman Sacramento, we can create wood, tiles, bricks and pavers look easily on the floor. It is very important that the concrete floor is sealed after stamping so as to make it intact for the rest of the life. You can easily revamp your old floor with a new look and design. Stamped concrete, if done in the right way by professional Stamped Concrete Services Sacramento, can beautify the look of your house and walkway. You must know how can we, as best Stamped Concrete Handyman Sacramento make installation of stamped concrete easier for you? If you want a smooth installation of stamped concrete, then you should definitely hire us, Monsters concrete, the Stamped Concrete company Sacramento CA. We assure you that we will make the installation of stamped concrete very easy and smooth with our expertise and skills. A professional Sacramento CA Stamped Concrete Handyman is best suited for this job. To install a stamped concrete, mixing, pouring and stamping is the major part. A professional Sacramento Stamped Concrete company like us will make sure that there is no room for error. Why hire Monsters Concrete for Professional Stamped Concrete Services Sacramento? We are the Best Stamped Concrete Handyman Sacramento in the whole Sacramento. We, Monsters Concrete, is the only Stamped Concrete company Sacramento CA to offer an array of Sacramento Stamped Concrete services concrete services to our clients. We offer our services to the clients at a very low Concrete Stamp costs in Sacramento CA. We, Stamped Concrete company Sacramento CA make sure that our customer is satisfied and happy with our Concrete Stamp costs in Sacramento CA and services. We, Sacramento Stamped Concrete Handymans have all the necessary equipments to get the job done. Sacramento Stamped Concrete Handymans are available for the customers anytime any day. To hire our, Sacramento CA Stamped Concrete Handyman services at a low Sacramento Stamped Concrete costs you can contact us on our office number (91 6) 237-0180 or write us at our email address inquire@monstersconcrete.com. We will make sure that we respond to you as soon as possible and will assist you in any kind of concrete services. If you live in Sacramento, then we are the best Handyman you can look forward to for reasonable Sacramento Stamped Concrete costs. We, at Monsters Concrete, have proven ourselves with our services and that is why our customer comes up to us year after year. 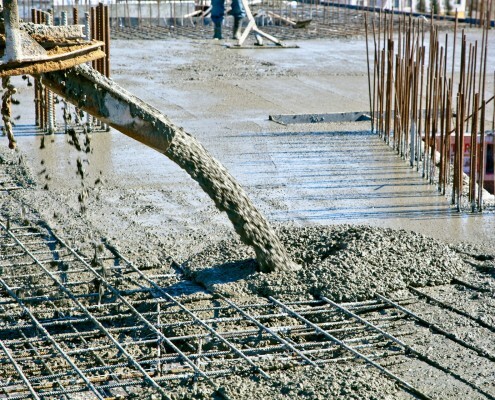 Are you looking for a company that can provide you Concrete Installation Sacramento CA services? We Monsters Concrete are the best company that provides amazing concrete Handymans Sacramento services that range from broom finished concrete to stamped concrete. We are a very reputed company that provides the best Sacramento Concrete Installation services. We have earned the trust of all our clients because of the high quality of our services. 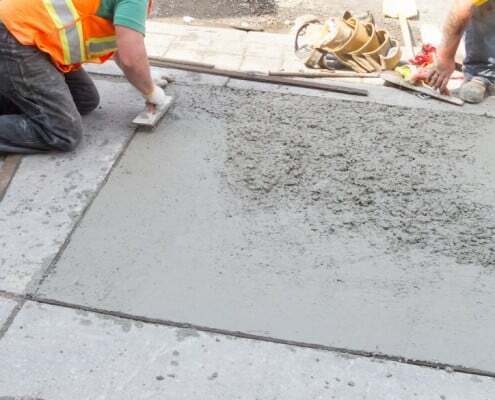 We, Monsters Concrete, a Sacramento concrete Handyman company have been in this industry for a long time and thus have gathered enough knowledge and experience to offer such services to clients which makes us the best Concrete Handyman Sacramento. 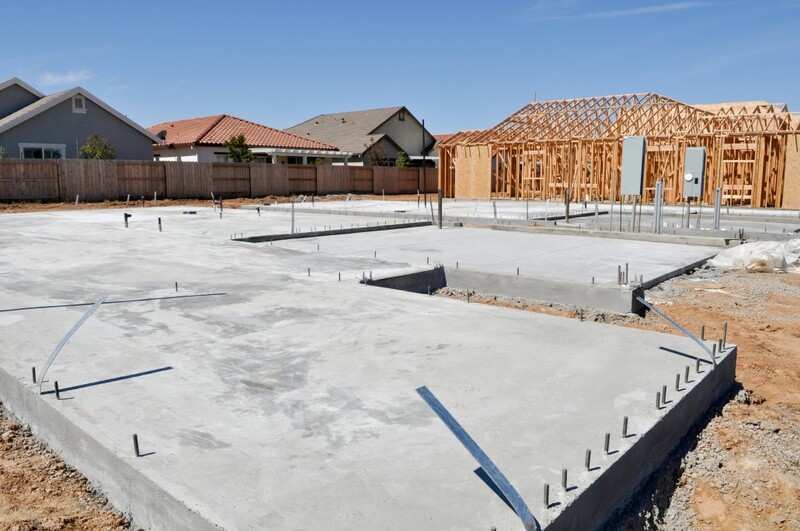 We, on the other hand, the best Sacramento concrete installation company, not only provide the best services but do that at the most affordable concrete Installation cost in Sacramento. We are the company that provides the best services to our clients for any requirement that they have, which is linked with Concrete Installation Sacramento CA services. The dedication and perfection that we put in our work results in us having a very high client base. 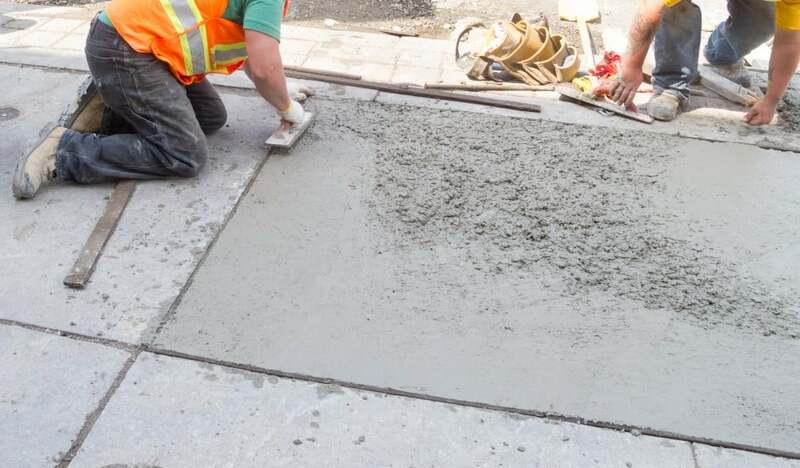 Due to our amazing Concrete Construction Sacramento CA services, we have a very strong relationship with all our customers and they refer us to all their friends and family as the best concrete Handyman Sacramento. 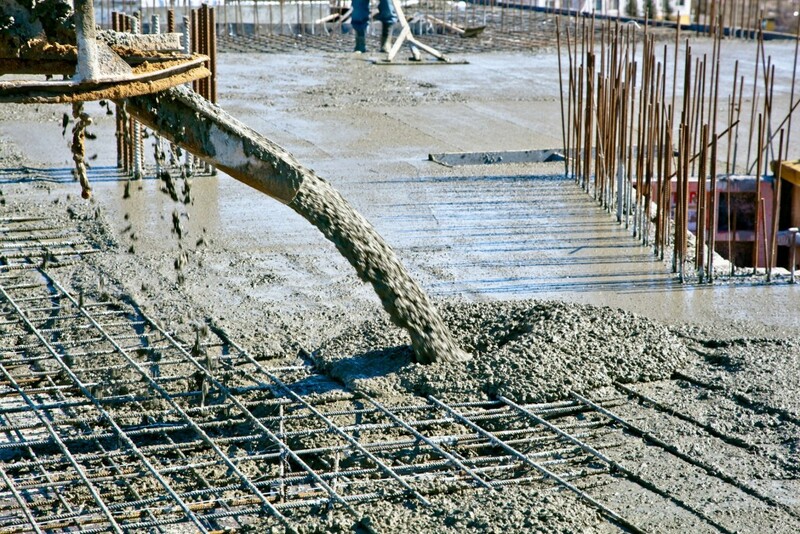 Why are we the best and most reliable Sacramento concrete installation company? It is a well-known fact that the process of installation of concretes is very challenging as well as time-consuming. To do this job perfectly, expert Sacramento concrete Handymans are needed. We Monsters Concrete are the best company for concrete installation as we are the perfect concrete Handymans Sacramento with both amazing structural quality and aesthetic appeal. We do all our work efficiently. 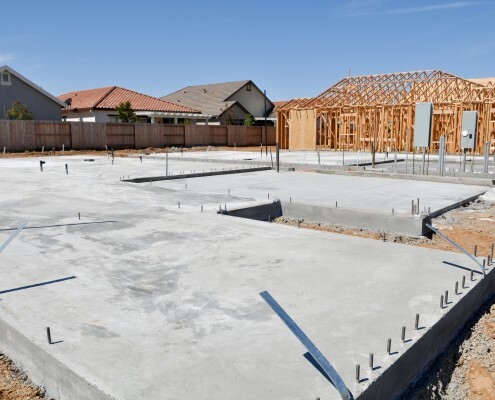 As we are the most trusted and reliable concrete installation company Sacramento we take into account all the factors that are important during the concrete installation. With us, the best Sacramento concrete Handyman, clients do not have to worry about their work at all. They can just sit back and relax, while we take complete control of the Sacramento Concrete Construction and show them the amazing result and that too at an affordable concrete installation cost in Sacramento. We complete each and every process efficiently so that our clients are happy with our work. We, unlike other Sacramento concrete Handymans, do not just talk big about our services. We provide such a service, that our clients satisfied with and can always rely on us. Be it driveways, garage or walkways, we offer amazing Concrete Installation Sacramento CA services without ruining the aesthetics of our client’s property. In addition, we have a really affordable Sacramento concrete installation cost. We are the best company to have as your Sacramento Concrete Construction company. With us, Monsters Concrete, you will only get the best services and that too at no additional labor cost. We install concrete in such an amazing manner that it does not mess with the aesthetics of your property, while also keeping in mind the structural quality of the concrete. All these reasons add up to the list as to why we are the best concrete Handymans Sacramento. So, if you also want to avail our amazing services, get in touch with us, by calling us directly. We offer our amazing services at really affordable concrete installation cost in Sacramento.